For any English speaker, learning Thai may seem very daunting and difficult. The prefixes are different, the writing is different, the pronunciation is different. They even have 5 meanings for the same word! So we are not surprised when Thai seems like a confusing language. However we love to urge people to speak the language where and whenever possible whilst here in Thailand. The local Thai people love seeing foreigners make an effort to immerse into their culture and become of them. When it comes to shopping in Phuket, you won’t be short on choice! From high end shopping centres to authentic street stalls and everything in between. We know that for most holiday goers here in Phuket, they want to take back a little piece of Phuket home with them. So we’ve got the low down on all the perfect places to shop for your Phuket memorabilia. We’ve all heard the word mindfulness and know that meditation is the latest buzz these days, but what does being mindful actually mean? Meditation isn’t just sitting in a dark room, crossing your legs, closing your eyes and humming for hours on end. Meditation is a form of mindfulness which helps us escape the present and enter a deeper mental state. It’s a state where we can block out background noise, turn down the chatter in our heads and just be still. We all love the travelling lifestyle. Packing up, hopping on a plane, going into the unknown. Exploring, going on an adventure and expanding your reality. It’s fun and exciting for most of us, but it’s not always as glamorous as it seems. Travelling lots can take its toll, so we’ve put together out top 5 plane hacks which you can use for any flight to help ease the travelling process. Whether you’re here in Phuket on a romantic honeymoon or just want to feel a little fancy, there are some top dining destinations which you can’t miss whilst here in Phuket. First and foremost, the East 88 Restaurant and Beach Lounge located in our Serenity Resort is of course our top dining pick. 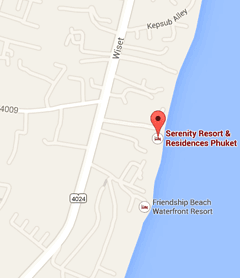 Located directly on the seafront in Rawai, you’re guaranteed to have the best dining view on the island. Enjoy a majestic dinner with fresh seafood, steak, pizza and so much more. With a whole cocktail menu, you’ll be spoilt for choice. Sea view, delicious food, drinks on tap and the best photo backdrops, this spot will definitely create a night to remember. Serenity volunteers give blood with the Thai Red Cross! The Serenity Team is proud to support our local community and joining the local blood drive is just one of our worthy causes. Together with several other local hotels and resorts, a team from Serenity Resort & Residences volunteered to donate blood with the Thai Red Cross which supports local Hospitals in Phuket. The blood drive takes place every 4 months and is a cause which we are proud to be associated with. Serenity wins Tripadvisor ‘Excellence’ Award 4 years in a row! Once again (for the 4th consecutive year), Serenity Resort and Residences have been awarded the 2014 Tripadvisor ‘Certificate of Excellence’, from the world’s largest travel site! Awarded to only the top few percent of hotels around the world, the 2014 Certificate of Excellence illustrates our continuing commitment to providing a consistently high standard of service for our guests. Serenity wins TripAdvisor ‘Certificate of Excellence’ Award…Again! Once again (for the 3rd year in a row), Serenity Resort and Residences have been awarded the Tripadvisor ‘Certificate of Excellence’, from the world’s largest travel site! Awarded to only the top few percent of hotels around the world, the 2013 Certificate of Excellence demonstrates our ongoing commitment to providing a consistently high standard of service for our guests. “This accolade, which honors hospitality excellence, is given only to establishments that consistently achieve outstanding traveler reviews on Tripadvisor, and is extended to qualifying businesses worldwide. Only the top-performing businesses listed on Tripadvisor receive this prestigious award”. Great reviews on www.TripAdvisor.com keep our team motivated and smiling. We would like to thank all of our past guests who took the time to complete a review on Tripadvisor, all suggestions that we have received, have helped us to further enhance the Serenity Experience. For those of you who are yet to visit, we hope to exceed your expectations on your visit and look forward to receiving your comments and suggestions. We hope to have the pleasure of welcoming you all back to Serenity again soon. Thanks again from all at Serenity!